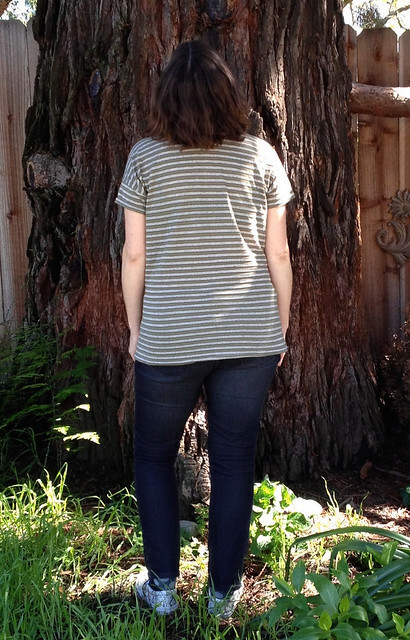 Another basic to see me through the last few days… The first Grainline Hemlock tee I made is one of the few things that still fits so I decided to make another. 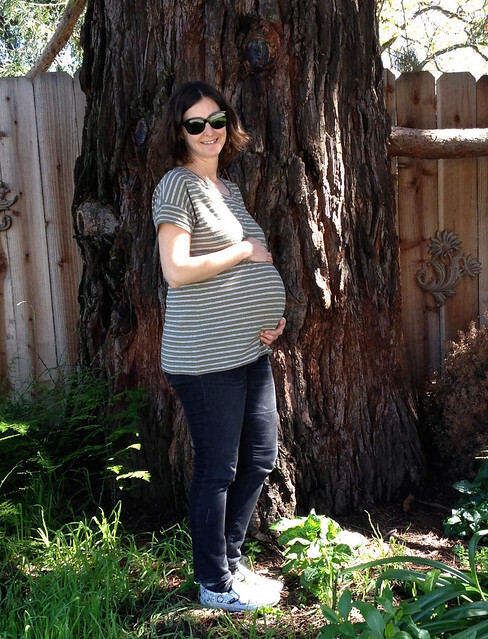 Gotta say, Inder was right about the Hemlock tee being a great maternity top. And I know that it will gets lots of wear later. I’ve made this pattern several times in both woven and knit fabrics. After the first version I took a few inches out of the center front and back and shortened it by a few inches. But for this one I went back to the original. And since it is nearly spring and starting to get warm I went with short sleeves. Just to make things a little more challenging I pulled out a striped rayon knit from my Mom’s stash. The walking foot on my Bernina was great for keeping the stripes lined up across the seams. I somehow managed to get off by 2 stripes on the back but it’s not too noticeable. In fact, I can’t see it at all when I’m wearing it! Off to see if I can squeeze in one more project before the baby arrives! Ahhhhh, so cute! You look great, and I adore those short sleeves! I need one of these for myself, right about now (nice to get a break from the rain!). 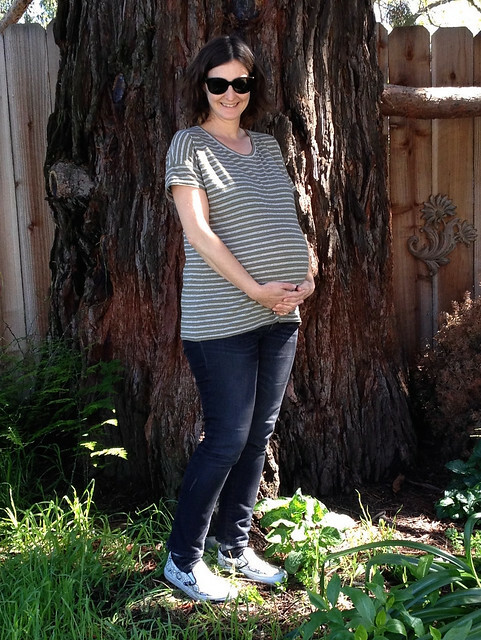 Hang in there – can’t wait to “meet” your little one!